Ailala’-Ailalelo is a young and fresh concept winery located in the highly regarded Avia Valley of Galicia’s Ribeiro D.O. ; bringing a sense of fun and exciting indigenous varietal wines to the market, as the name is one that refers to joyful partying (the local dialect for Ole’). This youthful yet quality focused estate is a powerhouse collaboration between oenologist Inma Pazos and Xose’ Lois Sebio (of the esteemed Coto de Gomariz). 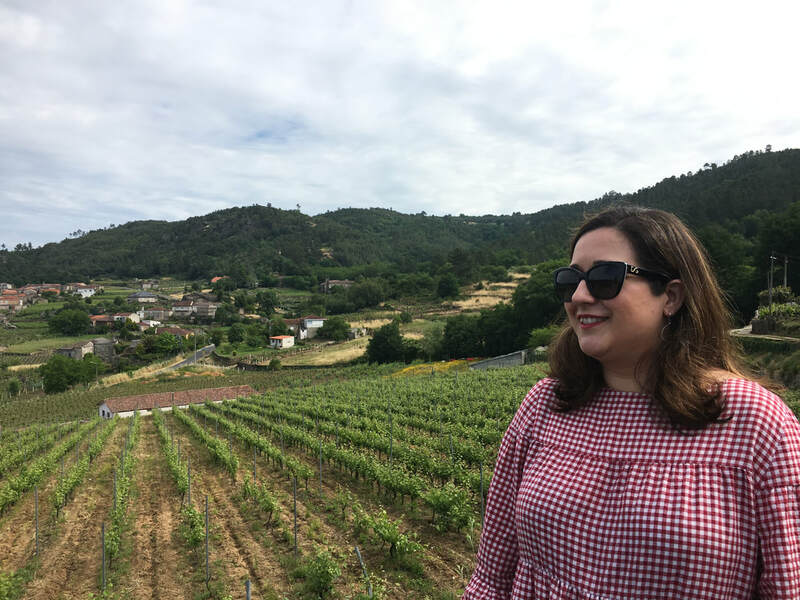 Inma has accomplished two wines that express the incredible terroir of the region (the soils here are called Sa’brego – a granitic base with a mixture of sand and clay), as well as a fresh and approachable profile that comes from only biodynamically farmed vineyards. Outstanding quality with a minimal hand in winemaking, the value from this group is second to none in the region. Ailala’ Blanco comes from beautiful vineyards within the Avia Valley, and is handpicked early in the morning to be brought immediately to the cellar for its future delicate treatment. The Blanco is a unique example from the area, as finding a 100% Treixadura wine is not common, yet this proves to be an incredible example, and looks like it will be very long-lived. After four months on the lees, with regular batonnage, the finished wine has stunning aromatics of lemon curd, apricot, white flowers, and seashells. The dense palate is loaded with ripe melon, sweet lemon, white peach, blood orange, and grapefruit peel. It is very persistent and has delicious acidity to let it age and develop well with time. Like the Blanco, the Ailala’ Tinto also comes from beautiful vineyards within the Avia Valley, and is handpicked early in the morning to be brought immediately to the cellar. The Tinto is primarily all Souso’n, although the field does include small amounts of Brancellao, Ferrol, and Caiño Longo that play a small role in this field blend. Natural fermentation takes place in stainless steel, and then a short (4 months) time is spent in French barrels to round out this beautiful red. The result is fresh and lively with spicy a character, delicious acidity, and soft tannins. A wine to grace most every dinner table, the Tinto is perfect for enjoying in any setting, never to forget its fun and lively concept that makes this wine so delicious.